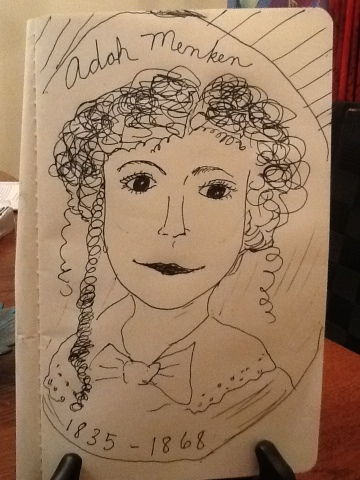 This doodle is the first in a series I’m starting titled “poets across the decades.” Just today I learned of Adah Menken from a friend who is writing her dissertation about this poet and actress. Adah Menken’s poem “Infelix” can be read on the Poetry Foundation website. Although her life ended during her Jesus year, she wrote an autobiography and a collection of poems, acted on Broadway and in Europe, and married four times.